Firenze embodies high Italian culture and elegance. 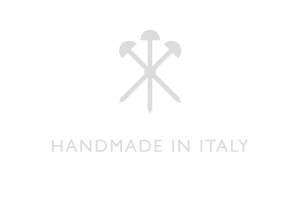 It inspired the Firenze trunk, a refined accessories case suitable for men and women, specifically designed and passionately handcrafted to store valuable items such as jewelry and watches. Access to and use of the website are for strictly personal use. All information contained on this website, including these provisions, may be amended at any time and without notice. Royal Trunk also reserves the right to suspend, interrupt or restrict access to all or part of the website without prior notice. All elements that you see, hear or read on the website, and the website itself, are protected by legislation on royalties, including image rights. These, and notably the trademark, logo, images, etc. are the property of Royal Trunk or Royal Trunk has been licensed to use them. You may not under any circumstances use, distribute, copy, reproduce, amend, adulterate or transmit the website or any elements of the website, such as texts, images, sounds and logos, without the prior written permission of Royal Trunk or the copyright holders. Failure to comply with this ban may in particular constitute an infringement of intellectual property rights or an infringement of individual rights and may result in you being held liable, and legal proceedings being taken. In accordance with the Data Protection Act, you have the right to access, correct and challenge the data that concerns you, and also the right to obtain further information.